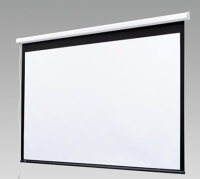 The Eleganté motorized screen, is a competitively priced motorized projection screen, featuring a durable all aluminum housing for wall or ceiling applications. 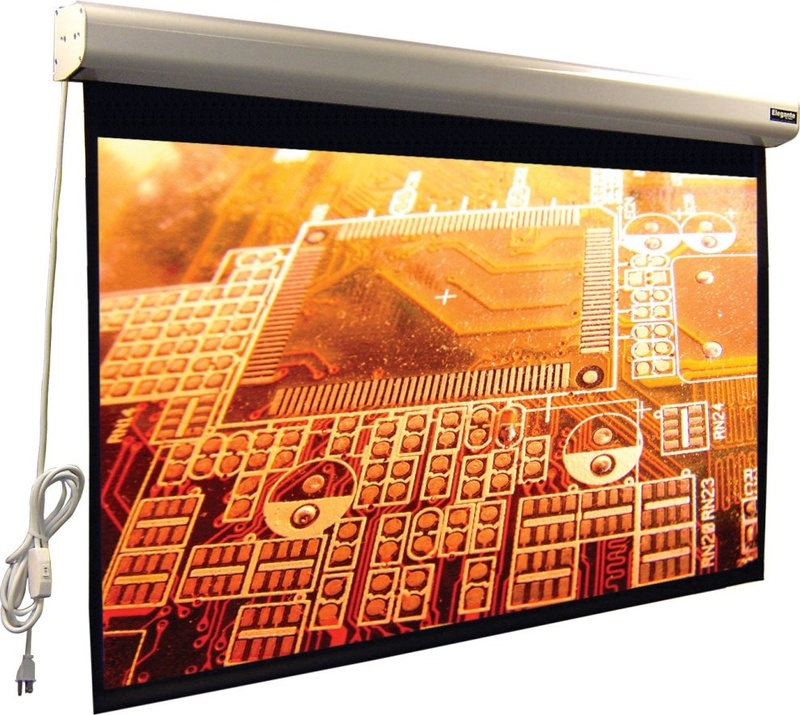 Representing the best value in its class, Eleganté motorized screen comes standard with value-added features, including Vutec’s EMS™ EZ-Mounting System, for wall or ceiling applications. 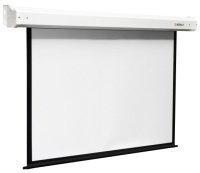 Providing users with maximum versatility, Eleganté motorized screen also interfaces with low voltage relays, IR and RF remote controls and is available in 4:3 (Video) and 16:9 (HDTV) formats in Matte White and Matte Gray screen surfaces.